SPRINGFIELD—Today State Rep. David Welter (R-Morris) joined Governor Bruce Rauner in announcing the formation of a new not-for-profit, Illinois Fairgrounds Foundation, to emphasize capital improvements at the Springfield and Du Quoin fairgrounds. 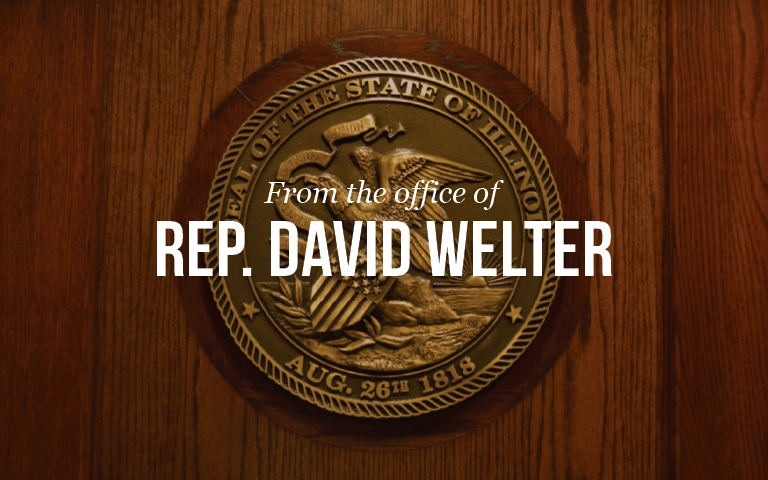 “We need Illinois agriculture to flourish and the Illinois State Fair is a big part of promoting the Illinois farming community,” said Welter. Charitable organizations provide a lawful way to supplement State funding with private donations. The Illinois General Not-for-Profit Corporation Act permits the incorporation of non-profit organizations for charitable purposes. Charitable organizations are tax-exempt pursuant to Section 501(c)3 of the federal tax code. Donors to charitable organizations may receive tax-exempt status on their donations to these organizations.